I love browsing through Fashion magazines, watching runway shows, and subscribing to brands on Facebook. Today, I thought I’d share some of the things that really excited me this month from my favorite brands. 1. This lust-inspiring satchel from Proenza Schouler! I really, really love this brand. I have been eyeing their purses for a while now. Too bad they are all way beyond my budget. Her eyes and her over-all beauty is just so striking! Girl crush! Oh I just love this designer! His gowns are so exquisite and flattering to a woman’s form. Case in point: the above photo featured in Vogue Latin America. Liberty of London is an iconic British brand well-known for its classic prints and fabrics. 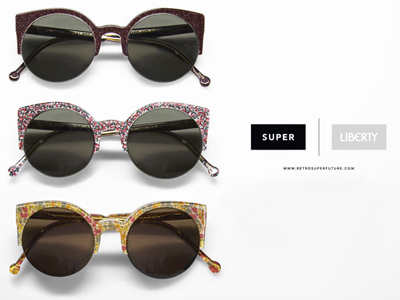 For Spring 2011, they partnered with Italian brand Super to come up with these cute sunnies! Perfect for the summer! There’s a reason this Filipina made it big abroad. 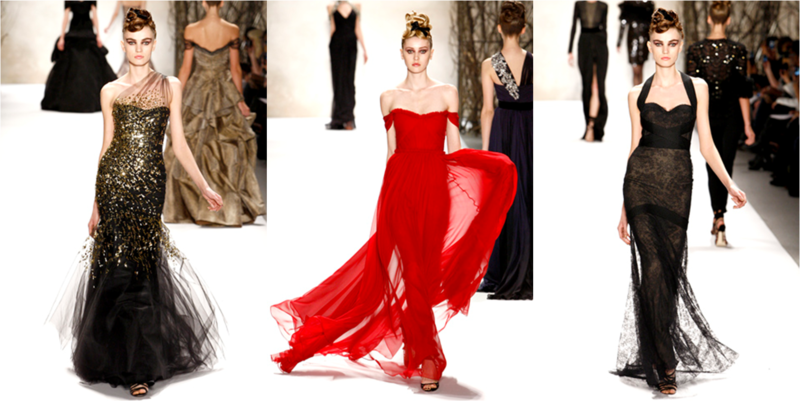 With her Fall 2011 collection, her talent and finesse at crafting that perfect gown for any occasion is very evident. I love the silk, the frills, the lace, and the floaty chiffon – all of which make me feel like I’m in a fairytale. I also love how despite the obviously girl details, it’s also sultry and dark. Love, love, love!